A cookie-k segítségével a legjobb élményt biztosítjuk Számodra honlapunkon. Használd az egeret a nagyításhoz! Outclass the cooler weather with cozy comfort in the SKECHERS Keepsakes 2.0 - First Flurry boot. 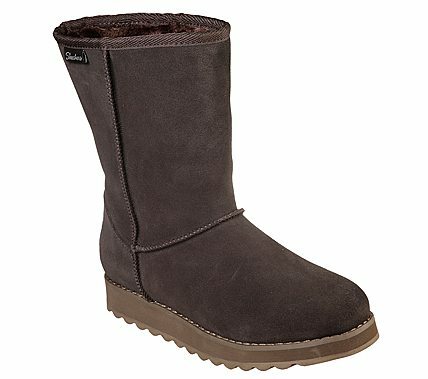 Soft suede upper in a mid calf height casual cool weather slip on boot with stitching and overlay accents. Memory Foam insole.